Florida Title Loans is the number one source for title loans in Port St Lucie, FL! Title Loans Port St. Lucie Florida strives to provide superior customer service. We want to make sure our customers are as familiar as possible with the process. That is why one of our title loan specialists will guide you throughout the entire process and answer all of your questions. We do not shy away from questions, we encourage our customers to ask as many questions as possible! You can visit one of our Orlando title loan locations in Port St. Lucie and talk to us in person. Contact us for information on title loans in Port St Lucie FL today. Port Lucie is blessed to be one of the primary destinations for Major League Baseball teams for spring training. If you want to see the games with your family and collect great souvenirs, then you might need some more money in your wallet. Learn how title loans Port St. Lucie work and why more people are choosing this money-raising option. What Are Port St. Lucie Title Loans? Instead of wasting your time with a long, drawn-out bank application process, you can use your automobile title to get funding. Title loans in Florida involve exchanging your car title for cash. You set up a contract and repay the loan over time. If you don’t fulfill your side of the bargain, your car might be repossessed. What Are the Advantages of Port St. Lucie Title Loans? When you need cash to pay for some more food, utility bills or house payments, you don’t want to experience the bank run-around. Banks might give you forms in triplicate that take hours to complete. Placing a newspaper ad to sell your car will take time, money and effort. We understand that some customers have bad credit, but we still want to loan them funds. You might have few assets, but with us, all you need is your vehicle. Our customer service is fast, knowledgeable and friendly. Don’t waste your time with other capital sources, who don’t understand your needs. You might be able to use the “rollover” feature to turn a short-term loan into a long-term loan. Many of our customers develop very close relationships with us. Our online application process is meant to optimize speed. We simply need your vehicle make, year, mileage, along with your name, phone number and zip code. We will give you an auto title loan estimate how much we can lend you based on your vehicle collateral. Our loan representative will contact you at the earliest convenience. The Florida Statutes, Chapter 516, “Florida Consumer Finance Act,” maintains that all of the terms and conditions – amount, annual percentage rate (APR), fees, time period and repossession rights – must be clearly listed in the title loan contract. Under Florida State law, you must also be notified before your vehicle is repossessed. Also, you can still repurchase your vehicle – before the auction and after it has been repossessed – if you pay the loan balance in full. Florida Statutes Chapter 537, also known as the “Florida Title Loan Act” requires all lenders to be licensed by the Florida Office of Financial Regulation. For any concerns, you can call the Florida Attorney General’s Office at 1-866-9-NO-SCAM. So prepare yourself for your favorite baseball team and visit Tradition Field. 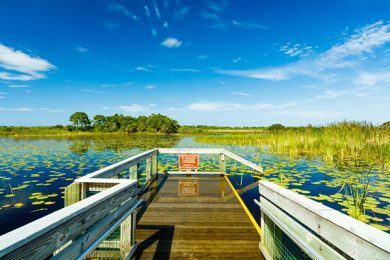 Walton Rocks Beach, Port St. Lucie Botanical Gardens, and Savannas Preserve State Park are a few of the great destinations in our town. Ensure you always have enough in your bank account with title loans Port St. Lucie.